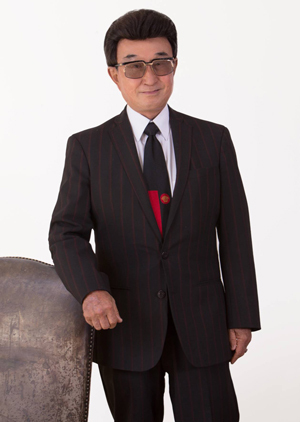 To the consternation of competitors, Stanley Lo continually leads the list in Bay Area real estate sales. This diminutive risk taker speaks with the competitiveness, cockiness and conviction of a salesman who loves the business and rarely doubts his ability to succeed against all comers and all odds. While some will attempt to impugn the Green Banker operation as a high-end real estate machine, those who have transacted with the firm see it for what it is—a successful, responsive juggernaut that reflects the personality, determination and discipline of one man, Stanley Lo, and the perpetual motion of a real estate operation that never slackens in its quest to stay atop the real estate pyramid. I was raised in Hong Kong and educated in Taiwan. In the ‘60s, I came to the U.S. to study electrical engineering at San Jose State. In order to support my way through college, I worked a variety of jobs at restaurants and nightclubs and in electrical design. By age 22, I had achieved financial security. The first property I ever bought was a single-family house, for less than $70,000 and nothing down, and paid for from my part-time job earnings. I sold the house at a great profit, and that got me hooked on real estate. I flipped 3-4 properties soon after that first experience— all of this taking place while I was still in school. I got heavily into the business in the 70’s and started buying distressed development land. One large block I acquired in Hillsborough doubled in price a year later. I learned early on that there’s phenomenal potential in real estate, particularly for the property-wise. You flip one house, and that pays for the second house—one house becomes two, two become four, etc. I’m doing the same thing right now. In real estate, you can’t stop, because opportunity never dies—so you have to keep buying and building. For example, I bought 4 acres of land near the San Francisco International Airport for about 30 cents a square foot and then flipped it for $16 a square foot. I run an eclectic enterprise. 50% of our annual revenues come from the Green Banker brokerage—the other 50% from commercial and development sales, including condominium projects, apartments and office buildings. In Burlingame, for instance, we own many office buildings. We also own a lot of triple-net and investment properties and develop and flip high-end mansions. Work is play for me—like going to a casino. That’s why I don’t have high blood pressure and why I still work 18-hour days. And it’s not just about the money. I like success and being on the top. I want to remain #1 as long as I’m in the business. To lose that #1 ranking would upset me. But the real satisfaction lies in getting things done, achieving your goals. And I love dealing with all kinds of people and characters. I see anybody and everybody. I go to every listing presentation myself. I meet clients personally, sign all the listings, explain the deal and the process. In the beginning, I got attacked mostly for reasons of envy. I still hear it, “Oh, he gets money from overseas clients” —all kinds of crazy stories. The truth is, I do business straight. I came to this country with nothing. And I made every dime through my own honest and hard-working efforts. Nothing can make your life devastating if you stay cool. We have a lot of transactions where the buyer and seller haggle over the little stuff. You know what I tell them? “It’s simple. If you don’t want to sell, don’t sell. If you don’t want to buy, don’t buy. Cancel the contract, give the money back and move on”. I don’t argue with clients. If it’s a money issue, I’m generous, not because I’m stupid, but because I always look to the long term—that client will refer business. They always do. Reputation is very important to me. My word is my bond. And my business relationships are based on that same principle. I just contracted for $1.6 million worth of framing and foundation work. I chose the highest bid because of the contractor’s name, reputation and quality of work. I love beautiful things, particularly art, and I love properties. My mansion in Hillsborough is 11,000 square feet on 2.1 acres and used to be owned by the Tobin family. I bought several of their estates including their grandchildren’s and mother’s properties, as well as all the neighboring properties. Then there’s the $22 million, 20,000 sq. ft. mansion in Vegas that I bought in foreclosure for much less than the listed price. I drive a stable of cars from a Toyota to a truck to a Rolls because I don’t want to intimidate clients based on what I drive. I like American songs from the ‘60s and ‘70s. I’m a big fan of Paul Anka, Chubby Checker, Elvis Presley, Kenny Rogers, the Righteous Brothers, and Lionel Richie. They make you feel good. I change my clothes three times a day. I wear ETRO, Gucci, Prada, because dress is a very important part of the package. I called the brokerage Green Banker because to the Chinese, “green” means money, and “banker” has a more prestigious connotation. I’ve heard people say, “All he does is Chinese business”. Not true. 75% of my clients are American. The truth is you can’t survive on Asian business alone. Fortunately, Chinese investors are still coming to the U.S. There aren’t as many, but the ones who are investing are serious players, unlike the window shoppers who want to ride around in a car, eat with you, and then disappear. I’ve heard people call me a machine—with a high-volume of transactions and a team that does all the work. The truth is I do everything. You can only have one leader, and I control everything. I sign every check. I make all of the decisions. Period! My people do the process work—manage and schedule inspections, graphic design, photography and print collateral, handle escrow, funnel information, and coordinate with the stagers. If there’s a problem, I deal with it personally. My team has no responsibility whatsoever for sales or problem-solving. The buck stops with me. I have licensed agents on my team, but they’re compensated solely by salary, and serve an administrative function only. I don’t mind acknowledging that I negotiate commissions. Other agents deny it, but they do it. It’s a running joke. “Whatever Stanley offered you, we’ll match it.” I’ll negotiate on commission depending how badly I want the listing and how fast I can sell the property. If I feel the listing price is too high, I won’t negotiate. Although we continue to spend marketing dollars on print advertising and digital programs, we remain committed to old-fashioned direct mail. I like paper. I’m like a publishing company. Every quarter, I give my clients a quarterly report about what’s going on in the market. It’s free information and great research for the homeowner. We have an in-house research department, supported by an East Coast contractor, that compiles the data and the trends. In terms of distributed print materials—flyers, brochures, reports—we print thousands of copies annually, because our clients and followers demand it, and it supports the Green Banker brand. We remain committed to printed property brochures—always multi pages and full color throughout, because it makes my clients feel that their house is prestigious. We can turn a brochure around in one day because we employ our own photographers and graphic designers, and we have our own commercial printing press. Nobody else in the market can do that because it costs so much. I think the buyers are starting to get more cautious. The high-end market, anything above $7 million, is weakening because buyers want to spend less, or they don’t feel we’ve hit bottom. The middle market, $3million + is gradually softening, with fewer multiple offers. It’s all about precise pricing. Over-priced homes are not selling. Under $3 million, the market still remains strong in certain Bay Area locations because we have no supply and a lot of demand. I’m safe because we represent every sector and price point—low, middle and high end- from San Francisco to Palo Alto. The Chinese have a saying, “A smarter rabbit always has three holes.” That means that if one hole doesn’t work, they have another hole already in place. For instance, they may feel that they can’t continue to make money in China, so they’ll look to the U.S. as an opportunity to invest their funds. These investors include wealthy entrepreneurs, business tycoons, developers, and even retired people who don’t want to stay in China anymore. They get an EB-5 visa and move here. But because they don’t like the property taxes in California, they often buy second and third homes in Australia and Canada. They believe in being diversified. Ironically, a lot of Chinese are now sending their kids to Europe, Australia and Canada for schooling because they think the U.S. is losing its edge, education-wise.